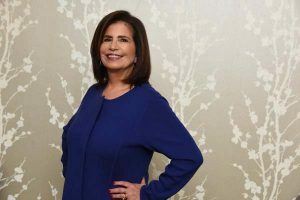 Dr. Paula M. Singer has built her business by being collaborative and listening to clients and employees. And in the community, she is an involved leader who is usually heading up a committee – or three – to help organizations such as the Jewish Big Brother & Big Sister League, United Way of Central Maryland or Baltimore Reads. In 2013, The Singer Group was selected as a Fastest Growing Woman-Owned Business by the Baltimore Business Journal. The group delivers human resources and organizational development solutions in the public, social and private sectors. She is particularly passionate about her work for public libraries, local governments and nonprofits. “The outcome of my work is often increased engagement and opportunities for staff along with transformative practices, the alignment of people with strategy, developmental rather than punitive policies and the realization that people practices need to be front and center with a seat at the table,” Singer says. In Carroll County, she facilitated strategic planning for the library and helped with challenging projects for the Board of Commissioners and the Board of Education of Carroll County. “(She) is highly respected for her ability to bring consensus on important issues,” says Lynn Wheeler, executive director of the Carroll County Public Library. Singer serves on the board of The Fund for Education Excellence, The Children’s Guild, and on many committees of The Associated: Jewish Community Federation of Baltimore. Singer received her master’s in organization development and doctorate in human and organizational systems from The Fielding Institute. She has also earned a master of administrative science’s degree from Johns Hopkins University and a bachelor’s from Cornell University and has co-written four books on such business topics as human resources, library leadership and succession planning.